Apply to the master’s degree in International Studies online: http://gradcollege.okstate.edu/apply. Follow the directions on the site to create your account. Once you begin the application process, specify the MS program in International Studies. Upon completion, your application will be processed by the Graduate College and forwarded to the International Studies program for consideration. You can check the status of your materials by logging into your online application. Once logged in, you can see what materials have been received and processed. You can re-send notifications to your recommenders to remind them of the procedure for submitting letters. The School of International Studies has floating deadlines for Fall, Spring, and Summer semesters. The priority deadline is November 1st for Spring and May 1st for Fall. Applying by the priority deadline will allow you to receive priority consideration for Graduate Assistantships available for your term. You will receive an email from i-study@okstate.edu welcoming you to the School of International Studies and outlining the next steps. Students will meet with the graduate coordinator to enroll before the semester starts. You can make an appointment by calling (405) 744-7693 or emailing i-study@okstate.edu. Note that international students may have additional steps to complete before enrollment. We will send out information about the mandatory School of International Studies orientation as well. When you plan moving to Stillwater, OK, there are options for housing both on and off campus. The Off-Campus Student Association has information for living off campus: http://www.osuoffcampus.org/ocsa/. 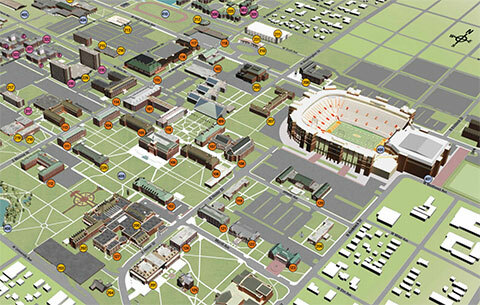 If you want to live on campus, learn about housing and residential life at OSU here: http://www.reslife.okstate.edu/. The Family Resource Center offers assistance to families and campus residents as well: http://reslife.okstate.edu/frc/. As a new student, you should enroll before the semester starts. During the first week of classes, you can change your schedule without restriction. Check the academic calendar for information on important deadlines: http://registrar.okstate.edu/Academic-Calendar. If you have major concerns about a course during the first week, come into the office and meet with us. You will need to complete the Responsible Conduct of Research form in your first semester: http://compliance.okstate.edu/rcr/rcr-index. More information on this subject is available in this handbook. New Student Orientation will be the first week of class. This is orientation for the School of International Studies and is mandatory for all of our new students. Check your email regularly for opportunities to get involved and to stay in touch with School of International Studies. When it is time to enroll for the next semester, you will receive an email with information. You make an appointment with the graduate coordinator to discuss your courses and answer your other questions. Begin brainstorming options for the faculty member that you will ask to chair your graduate advisory committee. More information about the graduate advisory committee is included in this handbook. Attend a workshop from the Graduate College on the plan of study. Continue to network and develop professional relationships with faculty. Create your plan of study online: http://gradcollege.okstate.edu/planofstudy. You must submit a plan of study online (including your graduate advisory committee members) prior to completion of the second semester (excluding summer sessions). Since you will need to include your graduate advisory committee members before you submit your plan of study, you must plan ahead early in the semester to meet with possible committee members to ask them to serve on your committee. Review the information in this handbook on the graduate advisory committee for more information. Make goals for your short time at OSU. Get involved in on-campus organizations. Continue to research internships, study abroad opportunities, scholarships, job opportunities, etc. Make an appointment with the graduate coordinator if you would like to discuss any of your options. Review this handbook for information on departmental scholarships. Make an appointment with Career Services to update your resume and prepare your job application materials for the application process. Career Services offers resume paper and thank you notes for free from their office: http://hireosugrads.com/. If you are interested in obtaining additional degrees, research programs and requirements online. Most students in our program complete the degree in three to four semesters. If you need to take a leave of absence, some circumstances are allowed with proper paperwork: http://gradcollege.okstate.edu/leave-of-absence-policy. There is a section in this handbook on graduation; refer to it for more information. You can also find a checklist online:http://gradcollege.okstate.edu/masters-checklist. It is important to communicate with our office in your final semester. You must complete steps in the graduation process by the deadline in order to graduate. Every fall and spring semester, we host a hooding ceremony for our graduates before the OSU ceremony for all graduate students. You will be able to participate in our hooding ceremony and invite a few guests. We coordinate these efforts via email, and it is your responsibility to answer those emails if you want to participate. Information on graduation is available here: http://commencement.okstate.edu/. Note: If you complete a thesis, you will have additional items throughout your time to degree. Check thesis guidelines here:http://gradcollege.okstate.edu/tdg.